Safely transport instruments to facility decontamination area. Prepare your ultrasonic cleaner by heating to 110˚F and degas for 15 minutes prior to use each day. (Note: temperature not to exceed 120˚F). Add 1 oz. 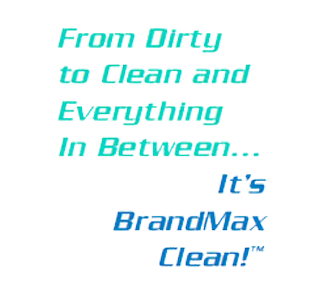 per gallon of water of BrandMax Tri-Clean™ Triple Enzymatic cleaner. Carefully add soiled instruments to the ultrasonic tank and set timer for 10 – 15 minutes. (Note: for heavily soiled instruments, longer soaking time may be necessary). Carefully remove and rinse instruments thoroughly using drain transport device. Air or pat dry instruments with clean towel. (Note: non-looped absorbent Huck towel is common). Visually inspect instruments to confirm thorough cleaning, if debris is present repeat cleaning process. Place cleaned instruments in a Sterilization Pouch. (Note: place hinged instruments in the open position). Place sealed instrument packages in the sterilizer per your facility’s protocol. Heat maximizes enzymatic activity which helps your cleaning process be more effective (note: temperature not to exceed 120˚F). DO replace enzymatic solution at least daily or when visibly soiled.